Ella and Julia against the wind (sketch) (also a little giveaway) – Pens! Paper! Pencils! 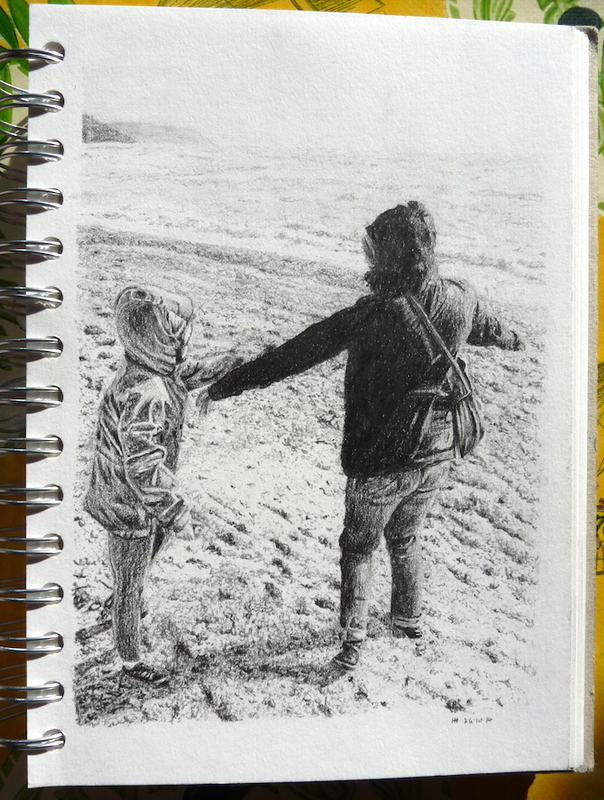 Here are Ella and Julia, my two favourite ladies, on the beach on the most incredibly windy day. If you like my sketches then you can see a lot more on Instagram. I thought it would be interesting to draw something different so I’m doing a little giveaway, of sorts. If you follow me on Instagram and you’ve posted a photo there that you’d like me to draw for you, just mention me on the photo (on Instagram) before Saturday 29th November. I’ll pick one (maybe more than one) at random, draw it and send you the original. I’ll take photos of the drawing and reserve the right to post those photos here and elsewhere but the original is yours. More details here. Pink Pig sketchbook, Tombow Mono 100 pencils, Mitsubishi Hi-Uni pencil.